A former Glasgow stockbroker has set himself a £1m pension challenge after turning his £20,000 Pep/Isa into £1.2m in five years. Barnett Alexander now hopes to increase his £120,000 pension fund to £1m over three years without making any new contributions. 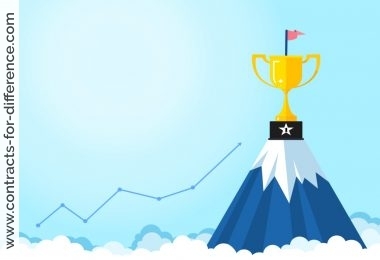 His huge gains have been made possible through the use of the sophisticated market instruments known as contracts for difference (CFDs), which now enable individual investors to gear up their stakes (multiply through borrowing) and go short as well as long (bet on shares going down as well as up). Along with their counterpart spread betting, CFDs come buzzing with health warnings for all but the most savvy online traders. Alexander, who might make 20 trades a day, says the secrets of his success are “money management and risk control”. His £20,000 Pep was inflated by the technology boom to £200,000, by April 2003 it had hit £750,000, and early this year it hit £1.2m. But he warns: “This is only suitable for the person who is interested in trading and in the old days would have gone to a conventional stockbroker. 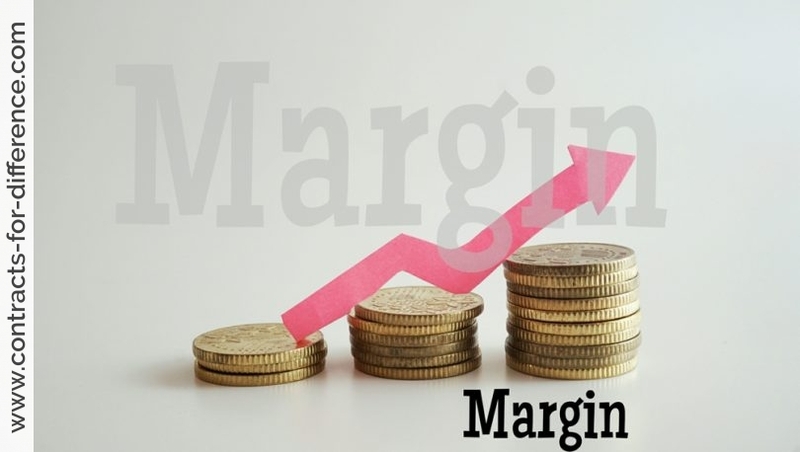 Leverage means risk, and if you can double your money you can also lose a lot.” Spread betting and the closely related CFDs have exploded in five years and now account for 30% to 40% of all trades on the London Stock Exchange. They are ways of betting on the rise or fall in the price of individual shares or in the market indices, such as the FTSE-100. In neither case do you actually own the shares. So there is no stamp duty to pay, and there may be no commission or brokers’ fees. And because spread betting is gambling, there is no capital gains tax. You also only need 5% to 10% of your stake in cash but if you lose the gamble you have to pay the full amount. This is why the Financial Services Authority is concerned at how they are promoted. For CFDs, though, private traders have to deposit about £10,000 to cover potential losses. Those Northern industrialists who used to complain in the 1980s about City ” shorttermism” might choke on their Tetley’s if they heard about [Nick Sparkes], who says most of his trades last less than one day. “I sit here all day and watch stocks,” he says. “I get an idea of where they are relatively. Lloyds might be up 3p and Barclays up 3p, but suddenly you might find that Lloyds was up 15p and Barclays up only 3p.” At that point, he might decide to go short of the first or long of the second. 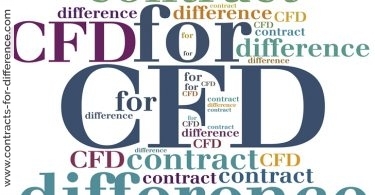 Sparkes’s chosen instrument for his trading is the contract for difference (CFD), a derivative that allows experienced investors to go long or short of a large number of shares without taking delivery of the stock. It is also a margin product, so a pounds 100,000 trade on a share with GNI, Sparkes’ CFD provider, could be made using just pounds 10,000 initial capital. In David Eaton’s Fulham loft, piano music playing softly in the background, he may be on to his second glass of water by 10.30am. On a computer screen to his right, the winnings from his bet against the Wyevale Garden Centres share price will be gently ticking higher. The pair maybe poles apart temperamentally, but they are the new faces of retail investment. The myth is that day traders and other short-term private investors were wiped out by the bursting of the technology bubble. True, many have drifted off nursing horrible losses. But the growing popularity of contracts for difference (CFDs) – an easy-to- use derivative product which allows investors to profit from both rises and falls in share prices – means that those who remain are often making a tidy sum from the market. Mr Eaton is even going to start investing his pension through CFDs, cocking a snook at those who have seen the bear market maul their long-term savings. A former oil trader, he makes his living from CFDs, heading up to the office in time for the market opening at 8am and leaving it decisively behind at 4.30pm in time for an early dinner with his young family. He’s been doing it full time since “finding ourselves in Somerset and unable to get a job that pays more than pounds 20,000”. Temporarily back in London, Mr Eaton makes maybe 20 trades a day, and pays income tax rather than capital gains on his earnings. “The first thing I think is not how much I could win on a trade, but how much I could lose,” he says. “I have a very high stop-loss. If I’m wrong, I’m wrong and I cut my losses before they get past pounds 300. 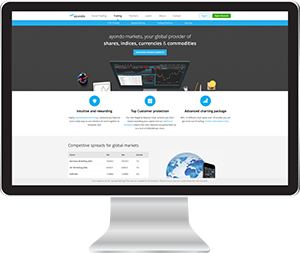 A CFD gives traders an exposure to the stock market that is many times the value of the money that needs to be deposited with the CFD broker. Their popularity has ballooned because it is a way of playing the market without having to pay stamp duty. Some estimates suggest more than 20 per cent of the volume of shares going through the London Stock Exchange is from brokers hedging CFDs. Where Mr Eaton’s trading is actually his livelihood, Mr Mosley’s is more in the manner of a hobby, albeit an occasionally lucrative and often addictive one. And in stark contract to Mr Eaton’s spartan loft overlooking west London, activity in Mr Mosley’s corner of his cluttered attic is about as frenetic as sitting at a desk can get. There is the clicking of share price graphs, the coloured flickering of the London Stock Exchange trading screens, the white noise of Bloomberg TV, and the man himself on the phone ordering his broker to “get two of Aviva at 34” or some such. Mr Mosley has also now put in a high-speed telephone link at work – he runs the family flooring firm and a motorcycle shop – so he can keep an eye on his positions and make sure he is not losing money while he is out. He has long been able to make money while he is out. His biggest coup was a pounds 6,000 gain on Colt Telecom in 2001, through a CFD set up while he was on the phone to his broker from a Blockbuster video shop. The charts he speaks of are not astrological. They are share price charts from which technical analysts can divine levels at which share price moves might reverse, based on previous peaks and troughs, when investors may be tempted to buy or sell. They can guide investment decisions for the medium term as well as the very short term. Mr Mosley is often in and out of a share two or three times in a morning, banking several hundred pounds on a penny or two move in the share price. Mr Eaton often trades shares of companies despite having a hazy or even no knowledge of what they do. “I don’t know anything,” he said. “I don’t ever have the news on and I don’t read the Financial Times. If something is going on, 1,000 people will always know it before I do anyway,” he says. “Leave that sort of trading to the boys at Goldman Sachs.” There are as many different strategies as there are traders. 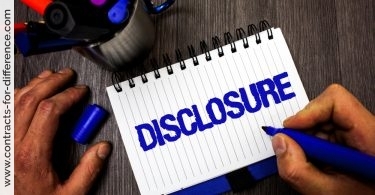 Fundamental analysis of company accounts has served the ubiquitous Simon Cawkwell – the bear raider known as Evil Knievil – well over many years. Others chase the latest bar-room gossip, seeking and repeating rumours of takeovers or profit warnings, spending their day in an endless round of phone calls that will almost certainly include one from “Jimmy from Glasgow”, another of the great characters unbowed by the bear market. And there are the computer geeks who can spot the automated trading strategies set up for the computers of the big hedge funds, which may buy small parcels of shares at given intervals. The best geeks of all can make money by studying the Stock Exchange order book and beating the computers at their own game. When we visited Mr Mosley last week, he was having a mixed morning. He was betting on falls by shares in Reuters and WPP, which weren’t going down, and Barclays and Aviva, which mostly were. 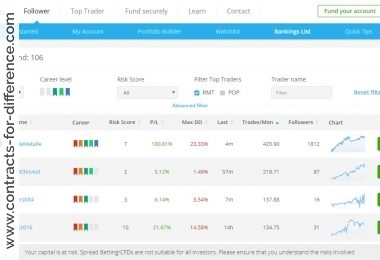 At different points he was variously up pounds 1,500 and down pounds 200 before closing the day with a whopping pounds 1,900 profit from the pounds 10,000 deposit with his broker, GNI. Since then, the gains have grown further, as his bearish outlook stood him in good stead this week.